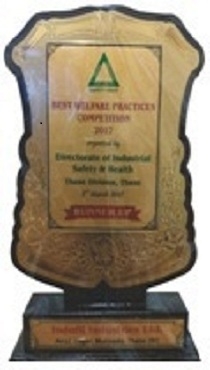 Thane Plant stood 2nd in "Best Welfare Practices Award for the year 2017" contest, organized by Directorate of Industrial Safety and Health (DISH) covering the entire Thane division. 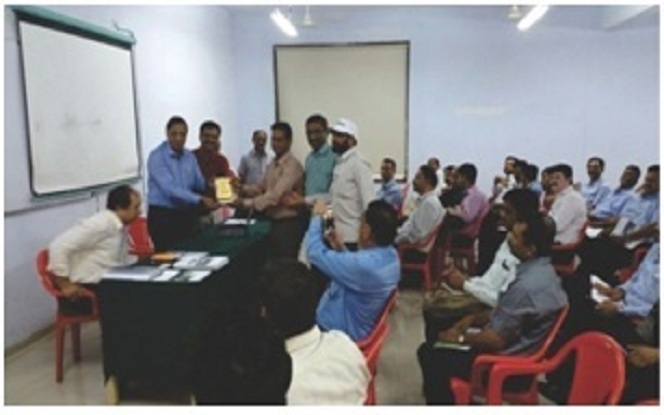 The award was presented to Thane Plant by Mr. Jamdar - Jt. Director - DISH at the Safety week function organized at Thane Belapur Industrial Association Hall. Indofil Plant Thane has also been selected for Maharashtra level competition of "Best Welfare Practices - Maharashtra State" scheduled in May 2017.